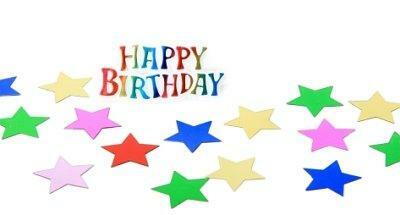 Free virtual birthday cards are a fun and simple way to extend birthday wishes to almost anyone. All you need is an e-mail address to send your family, friends, co-workers, and acquaintances happy birthday greetings. There are lots of virtual greeting card websites out there, and it can be daunting to browse through all of them looking for the perfect birthday card. Choose from these established, fun, and unique sites with great offerings. These birthday cards feature cute and pretty designs, and are appropriate for all ages. Day Spring: Day Spring specializes in Christian cards, many of which contain inspirational messages and Bible verses. To send or receive a card you do have to sign up for a free membership. Once your account is approved, you'll be granted access to the cards. These sites offer Flash animated greetings that often contain audio sounds and music, as well as funny jokes and age-related birthday barbs. Some of them are adult-themed, so take care when making your selections. 123 Greetings: 123 Greetings is known for providing "free greetings for the planet." They offer hundreds of free birthday cards, which can be searched by category. Categories range from son and daughter to belated birthdays to Zodiac themes. All of the cards are free, all of the time. Individuals can also create their own photo cards to send from this site. Egreetings: Egreetings.com is a newer e-card website that carries plenty of free birthday cards and other greeting cards for just about any occasion. This site helps you select the right card with their staff picks. Regards: Regards.com has many different styles, from classic television animation to singing creatures and more. The site also has a group card option that allows you to "pass" the card around to several people for them to sign before sending it on to the recipient. Free e-Cards Online: Free e-Cards Online is a service offering a variety of birthday greeting cards. The cards are semi-customizable; once you select the card you can also choose the colors, music, poem, and message that accompany it once it is sent. As you're browsing for virtual cards, there are a few things to keep in mind. If you encounter pop-up windows and intrusive ads at an e-card website, avoid sending cards from this vendor. Chances are your recipient will encounter the same things, which will take away from the experience. When filling out the "to" and "from" fields while sending a virtual card, there is often a box to check or uncheck to join a mailing list. Keep an eye out for these, and make sure your selection is correct. Many sites will ask you to register before you can send a card. Even if you don't mind registering, check to see if your recipient will have to register as well to retrieve his or her card - this might be off-putting for some. Sending greeting cards online is a great way to make someone's day. It can be especially handy when you've just realized it is someone's birthday and you forgot to pop a card in the mail. Luckily, the e-card business is booming and there is no shortage of free greeting card sites from which to send a wonderful birthday greeting.